Russian flag carrier Aeroflot’s plans for a massive expansion into the country’s regions is forcing smaller rival airlines to look for alternative options. One prime example is that of regional carrier Yakutia Airlines, which is in the process of coming up with three possible strategic solutions that will dynamically re-focus the airline’s development despite Aeroflot’s plans, according to Yakutia’s recently appointed general director Vladimir Gorbunov, when interviewed by a local TV broadcasting company. In the near future these proposals will be presented to the airline’s board of directors and its major stock-holder, the administration of the federal Russian Republic of Sakha (Yakutia), a territory 40 per cent of which is situated within the Arctic circle. 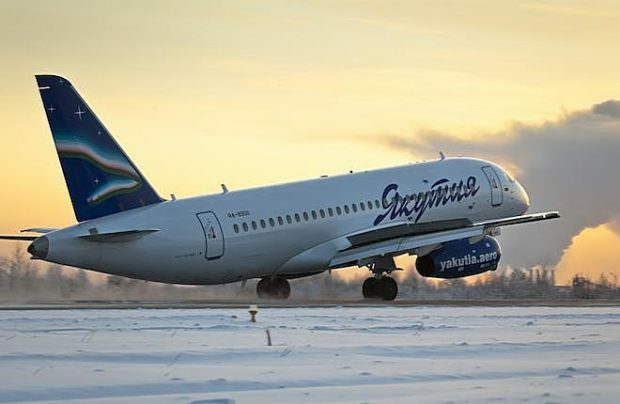 Admitting that his airline does not have the capability to compete with the strong market players in the western part of Russia, the head of the Yakutsk-based regional carrier said the most plausible strategy is to focus instead on Russia’s Far Eastern region. “Our realm is the Far Eastern region, everything that’s to the east of Novosibirsk,” Gorbunov said. Speaking of the airline’s fleet development perspectives, he expressed a cautious desire to start operating the Ilyushin IL-114-300, Russia’s upgraded turboprop, ahead of the retirement of the last of its Soviet-made Antonov An-24s. Such a move would demonstrate how the Ilyushin is able to perform on intra-regional routes. Gorbunov hopes that boosting the fleet with new aircraft will help Yakutia Airlines save on fuel costs and thus will be able to offer more attractive fares to passengers. The remaining An-24/An-26s will near the end of their lifetimes by 2022 and 2023, and the certification schedule of the IL-114-300, powered by Russian-made TV-7-117ST engines, fits in with the same timeframe. Gorbunov also touched on the highly sensitive issue of the Superjet 100 (SSJ100). Three of Yakutia’s four remaining SSJ100s are grounded for maintenance reasons, and the fifth was damaged beyond repair in a runway overrun at Yakutsk in October. The airline previously revealed to Russian Aviation Insider that it had been operating 170-seat Boeing 737-800s instead of the 103-seat SSJ100s, due to problems with the SSJ100 “which is inefficient for the given route network developed specifically with the [smaller] SSJ100 in mind.” However, he has now announced that one of the three grounded aircraft (RA-89037) is expected to re-enter service soon, and the remaining two will take between two and three months to be restored to airworthiness. The regional airline currently operates an eclectic fleet, which includes five Boeing 737-800s, the four Russian-made Superjet 100 regional jets, three Bombardier Q300 turboprops and six ageing Antonov An-24 turboprops. It has also brought back its single Boeing 737-700. In late October, following the runway incident, Russia’s aviation authority Rosaviatsiya revoked Yakutia’s rights to operate international flights. Effective from November 5th, that restriction will remain in place until the airline is able to prove it has eliminated all the safety shortcomings that the oversight authorities discovered during inspections. The airline has insisted it is ready to be compliant in 90 days time.